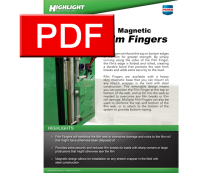 Highlight's Dedicated Bundler is the foundation of an economical stretch wrapping system! You can build an economical stretch bundling system to adapt specifically to your packaging requirements. Whether protective packaging, internal packaging, or product unitization, the Dedicated Bundler, in one machine, provides the versatility needed for these different applications. Built-in Stretch-Set™ feature allows precise control of film stretch. 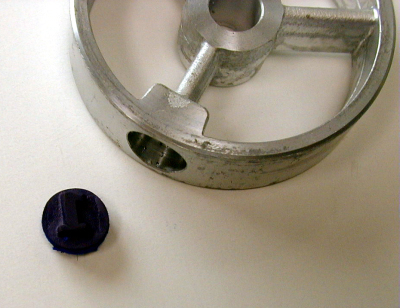 Sturdy zinc die cast construction will accept handwrap and machine rolls to 10 inches diameter. Mounts to any table, bundles packages easily and quickly, ideal for UPS shipments. 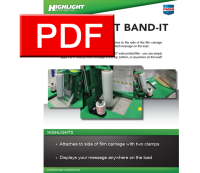 The Highlight Broadcast Band-It™ easily attaches to the side of the film carriage with two beam clamps to display your printed message on the load. No longer do you have to have a special 20" wide printed film - you can simply and easily apply the 5" wide printed message to the top, bottom or any location on the load! 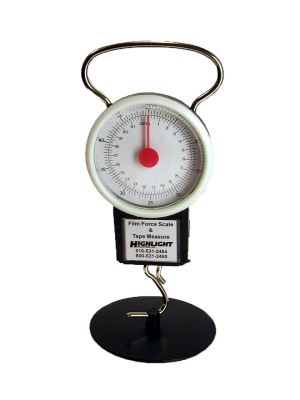 Quickest and easiest way to check the load-holding force of your stretch film. 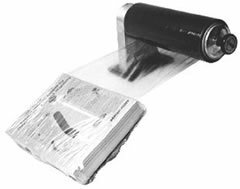 Used to accurately measure film stretch. 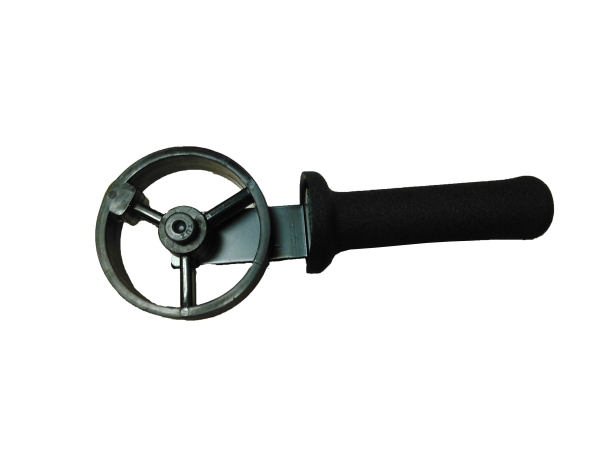 Film Fingers are available with a heavy duty magnetic base that you can mount on any stretch wrapper in the field with steel construction. 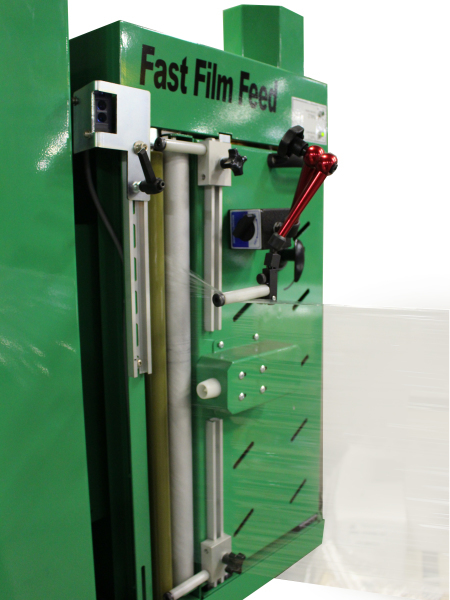 Film Fingers reinforce the film web to overcome damage and nicks to the film roll, and provides extra security and reduces film breaks. Available on all Highlight Equipment!